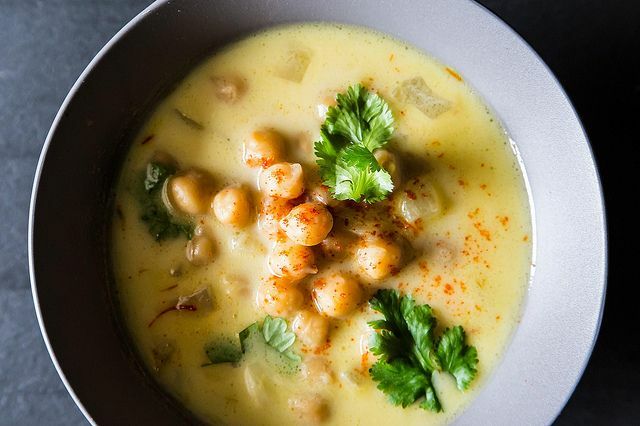 Today: A spring vegetarian chickpea soup that's lush in all the right places (but won't lull you to sleep). When I say chickpea stew, you might think of some burly concoction, full of assorted falling-apart vegetables, ladled into crocks at the co-op. I did, at least. And then I thought: not now. November. 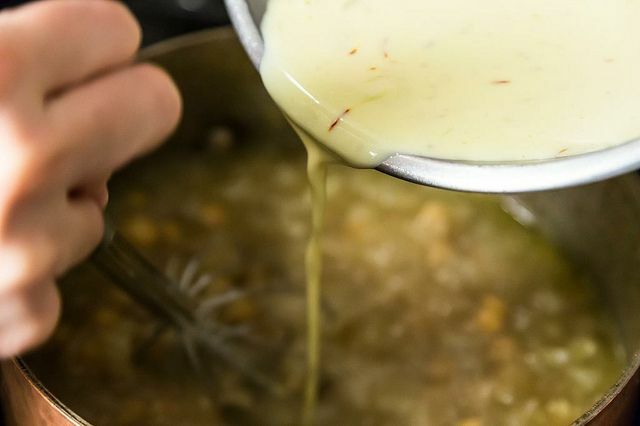 But this soup has more in common with avgolemono than goulash, and it's exactly what you need right now. 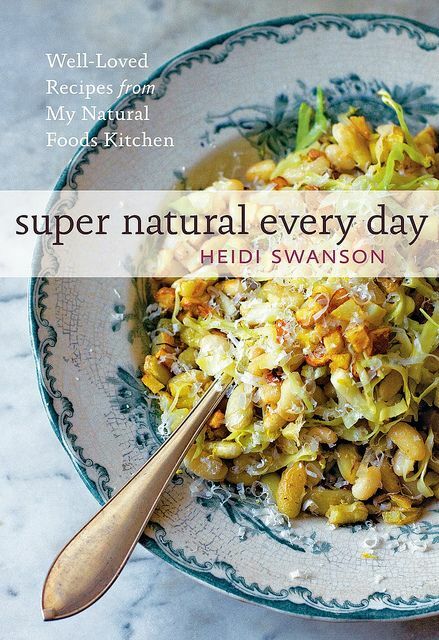 It comes from Heidi Swanson's Super Natural Every Day and, like so many of Swanson's recipes, feels revitalizing and pure without careening into asceticism. 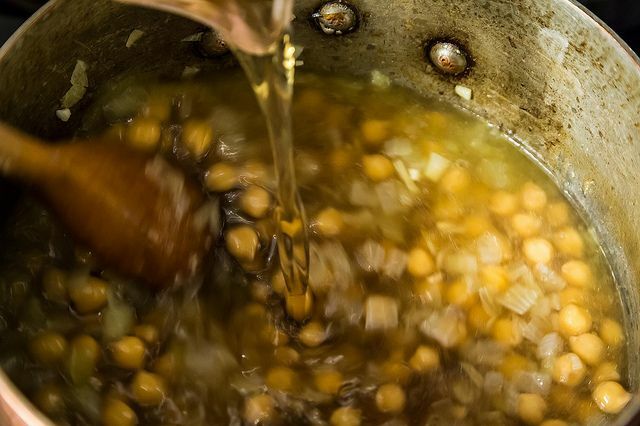 Yes, this is chickpeas, humbly, in broth. 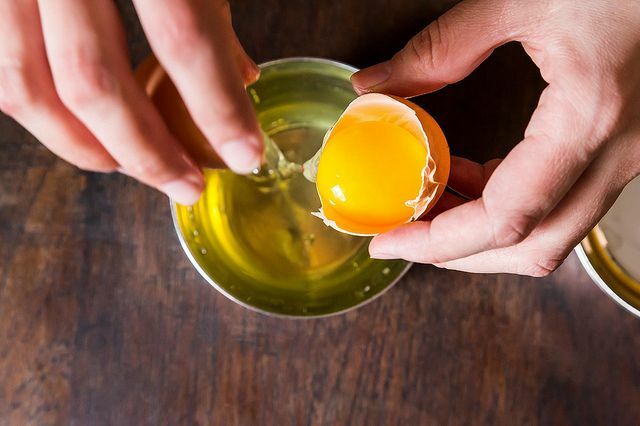 But that broth is enriched with yogurt and saffron and even a few egg yolks. "Close your eyes and you will think that it is cream based. 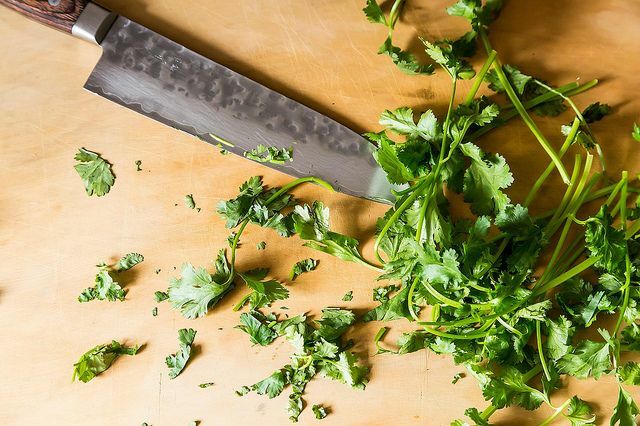 It's not," Food52er cookinginvictoria wrote to me. "But what really pulls the dish together is just a whisper of saffron." 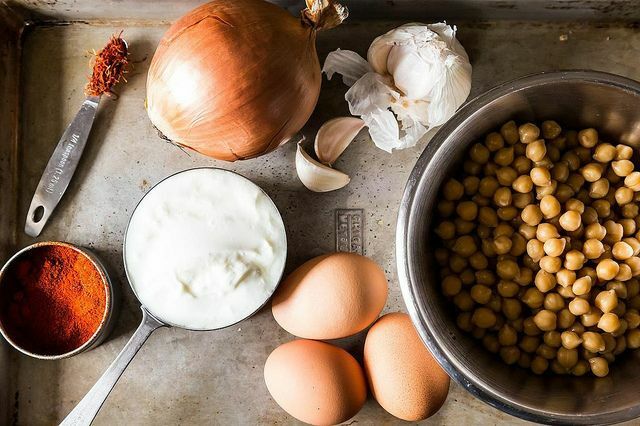 She's right -- if you've ever made a complex tagine or paella and been uncertain what the saffron tastes like and why you paid good money for it, lay it on a canvas of chickpeas and creamy broth. There it is! It sounds stressful and dinner-risking, but it's actually very forgiving. Full disclosure: With full-fat yogurt, I even boiled a leftover batch for several distracted minutes to reheat it, with no unpleasant side effects (lower fat yogurt fans, I don't know if I can vouch for you -- just don't get crazy). However, I've made this with both thick Greek yogurt and thinner styles; canned chickpeas and cooked-from-scratch -- it's always good. 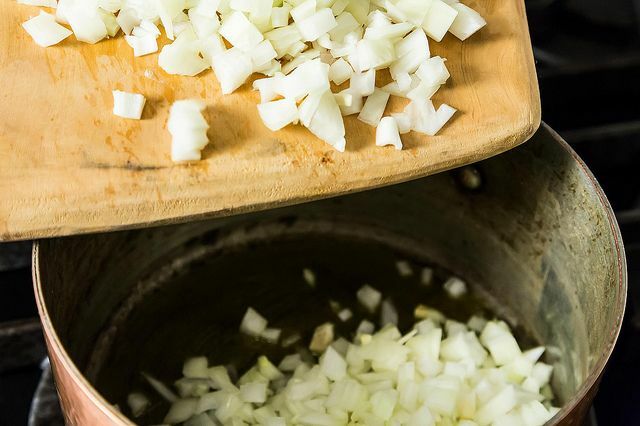 This is your go-to base, but cookinginvictoria has more brilliant ideas: "This could be doctored up, of course, with a handful of Swiss chard or sorrel leaves or some roasted fingerling potatoes. But I think that it's pretty much perfect as is." So whether you've been huddling in front of your computer all day or out playing frisbee in the park, you'll take comfort here, and fish for chickpeas, spoon by spoon, until you feel renewed. I made this yesterday (puréed half of the chickpeas as someone suggested). It was good yesterday but today I am swooning over it. Lovely! Can't wait to make this! 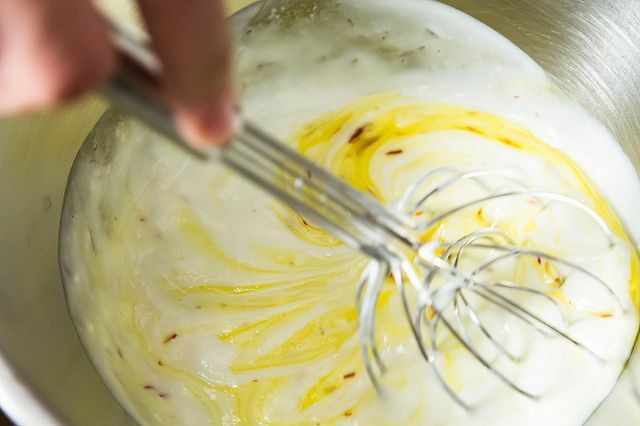 "The term buttermilk also refers to a range of fermented milk drinks, common in warm climates (e.g., the Middle East, Turkey, Afghanistan, Pakistan, India, Srilanka and the Southern United States) where unrefrigerated fresh milk sours quickly,as well as in colder climates, such as Scandinavia, Finland, Netherlands, Germany, Poland, Slovakia and Czech Republic. This fermented dairy product known as cultured buttermilk is produced from cow's milk and has a characteristically sour taste caused by lactic acid bacteria. This variant is made using one of two species of bacteria—either Lactococcus lactis or Lactobacillus bulgaricus, which creates more tartness. . . Buttermilk prepared in traditional way is considered beneficial to health as it contains probiotic microbes and is sometimes referred to as "Grandma's probiotic". . . The probiotic nature of buttermilk is beneficial to the gut and improves immunity. . . One cup of whole milk contains 157 calories and 8.9 grams of fat whereas one cup of buttermilk contains 99 calories and 2.2 grams of fat. Buttermilk contains vitamins, potassium, calcium, and traces of phosporous." Considering I make my own probiotic yogurt, I always have one or the other or both on hand. I use buttermilk in baking a lot and will be making it and milk kefir along with yogurt this year. Kefir would work well too in this recipe. Please let me know if anyone else uses these foods in cooking and baking. Thanks for posting! Love Genius Recipes and Heidi's books, and I'm always curious to see new takes on some of my favorite cookbook recipes. However, I'm struggling to see where this has been "slightly adapted" from the original - it looks exactly like Heidi Swanson's recipe, down to the wording. Have I missed something? Thank you for pointing this out. I often add my own tips, which is why I usually say "adapted slightly" from the published version, but you're right -- in this case, I didn't and neglected to update the template. I've updated the article and recipe page now -- thanks again. I made up basically the same thing on my own, so was delighted to see this version - consider mine a variation: juice of a lemon instead of yogurt, turmeric instead of saffron (same color, different flavor, add to the broth to simmer and develop depth), pinch smoked hot paprika instead of or plus the sweet. Also, I poach a chicken breast in the broth, shred it and add it back at the end. BTW, turmeric is maligned and miscast as pointless, unfairly, thanks I think to the ubiquitous and boring yellow mustards. Try it! This is an absolutely luscious cookbook. The recipes are not just a meal, but a lifestyle! Leftover yum! Had no problems re-heating the leftover stew and found smoked paprika to be the key to adding some delicious zip to this recipe. can i make this with fresh garbanzos? if so, any suggestions? I made this last night with store bought vegetable broth and was not thrilled. I should have know better. Can't wait to try again with homemade broth- chicken! I have a friend who added some kale to hers- worth thinking about! I'm not a big fan of saffron; would this be terribly bland without? Any ideas on a substitute? Also, my two (nearly three) year old boy adored this soup, sans cilantro. Always a bonus. Love how you and James captured Heidi's recipe. I cherish her books. Would using either chicken stock or water in place of the veggie stock veer this out of genius recipe status? I never seem to have any veggie stock on hand but always have loads of chicken stock. I used chicken stock, worked just fine. 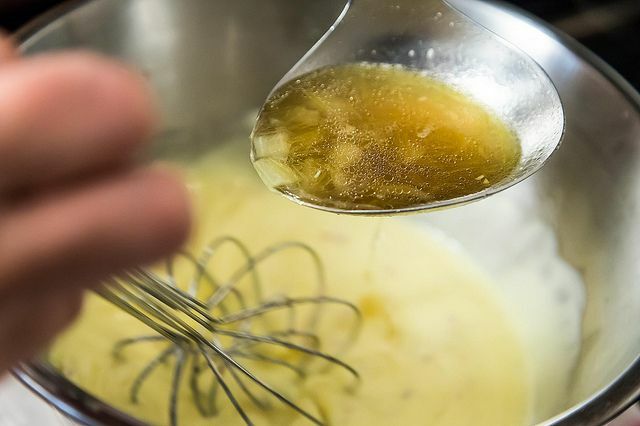 I agree with Andreas -- I've also used chicken stock and it was excellent (and even closer in spirit to avgolemono). I made this for dinner just now. 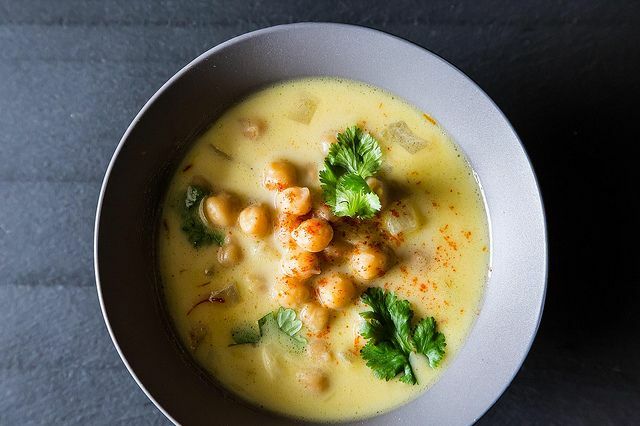 Really delicious, and it all came together in about 15 minutes, using canned chickpeas. Many years ago, when I was a student in London, we used to go to an Aruyavedic restaurant at the northern shores of Soho. They made a yoghurt and bean curry with similar flavours that I adored at the time. Yet another reason to avoid non-fat yoghurt. I have Heidi's book but haven't tried this one yet. thanks for bringing it to my attention! this looks delicious! do you think i could make without the egg? Yes, I think it would still be great, just slightly thinner. Yay -- I am so happy that you liked this recipe and chose to feature it in the Genius Recipe column! Love all of the wonderful, mouthwatering photos and Kristen's spot-on, beautiful writing. Thank you again for sending it! We loved it. I just made this soup for lunch yesterday! Great flavors and I love that it has the creaminess of a cream soup without the heaviness of whole cream. Simple and easy to throw together! Love it.